If you have a dog or puppy that needs in home one on one dog training and you are in the Highlands Ranch area we can help! Our Dog Training Highlands Ranch program is considered one of the best in the country and Colorado since you and your dog won’t be in a class with 100s of other dogs or puppies. We provide Customized Dog Behavior Training in the comfort of your home and in the environment your dog or puppy is use to you. We take a personalized approach learning exactly what your situation is with your specific dog. We also provide humane, force and pain free dog training experience and methods you can learn from once we leave and your dog training program with us is completed. Our dog training methods are proven and effective and we pride ourselves in making sure you have the tools and know how to have the best dog and dog owner relationship you can. Our dog training services and reviews speak for themselves. 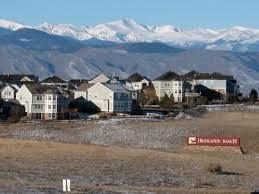 Our goal is you are happy and you refer other friends or family members in the Highlands Ranch area.